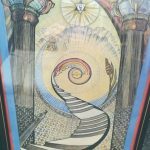 If you have attended the UK Tarot Conference in the past you will know that we have an amazing auction which helps to raise money for our Bursary fund. This year we have something quite special. I am not sure at this stage if both or just one poster will be up for auction but please contact me if you are interested. The 2 posters (24ins x 14ins, c. 1975) are framed, under archival glass and in excellent condition. The 2 posters (24ins x 14ins, c. 1975) are framed, under archival glass and in excellent condition. 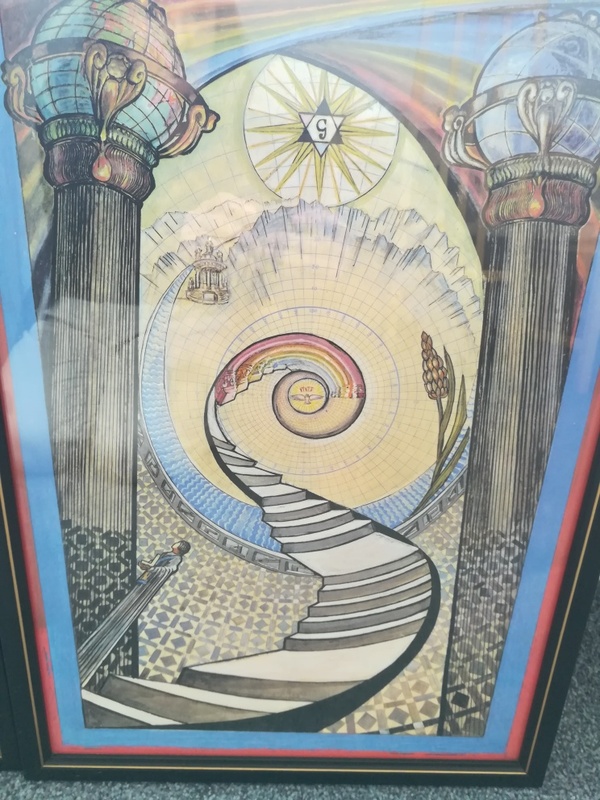 They were purchased in the UK from the reputable collector of occult books and art. These posters have their own history. 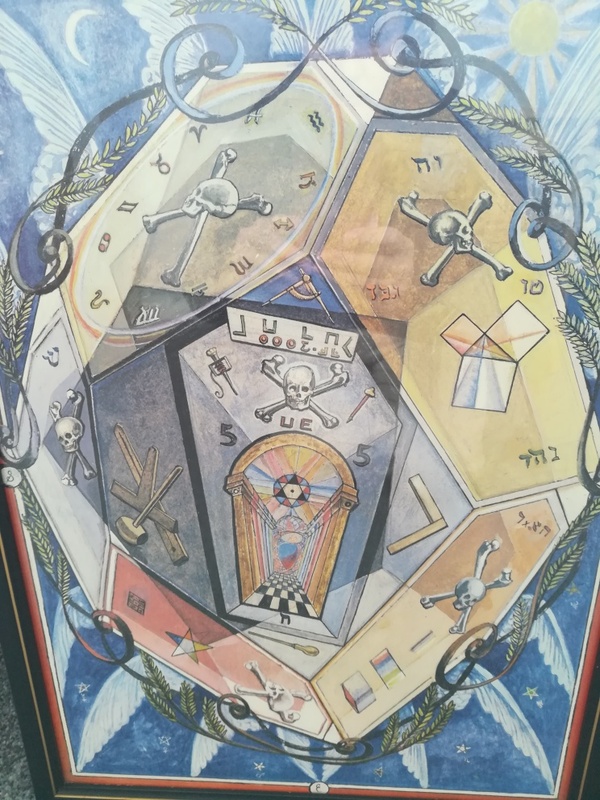 The original paintings were acquired by British Occultists in the 1970’s. Around 1976 a few hundred sets of these posters were printed. This is the only publication of these designs that there has been. Posters survive far less well than books, which are only rarely pinned to walls! Moreover posters are not collected by libraries, and their existence is not recorded in catalogues and bibliographies. 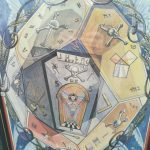 This entry was posted in blog by Kim Arnold. Bookmark the permalink.